Traveling is an amazing opportunity to learn about the culture, food, dance and landscape of a new place. It can also be a wonderful opportunity to learn a new language. 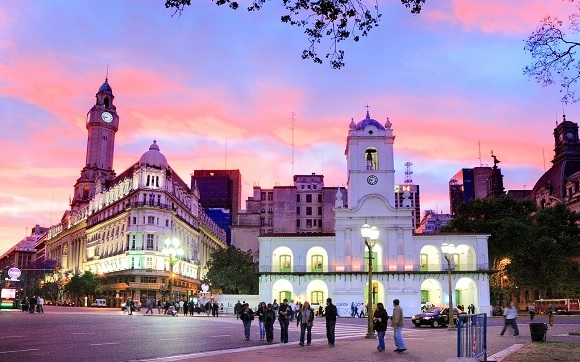 If you are traveling to Buenos Aires, Argentina, there are many wonderful opportunities immerse yourself in the city, and studying Spanish is one of them. Language schools, such as Expanish offer the opportunity to explore the city of Buenos Aires and at the same time learn Spanish. Expanish school offers the opportunity to study Spanish in a variety of ways. In the intensive Spanish programs, you can choose to spend 20 hours, or 30 hours learning Spanish Buenos Aires. The classes are 50 minutes long, and the time of day of the class can be chosen by the student. Students of all Spanish levels are accepted, as class level assignments are based on a placement test given on the first day, allowing you to study Spanish at your own level. Need the chance to practice one on one? Expanish offers private lessons which will help you develop your Spanish language skills with a slightly more personal touch. Each private lesson is 50 minutes, and in order to promote an active learning environment, a minimum of 2 classes per week is required. Are day classes a no-go for you? Expanish offers night courses for those language learners who have commitments during the day, or are unable to dedicate full time to being a student. The evening classes are given twice a week, to offer a more laid back schedule, flexible with your own! Are you ready to take your expertise to a new level by adding Spanish language proficiency? We offer courses in business Spanish, medical Spanish, and Spanish for teachers which allow you to develop yourself professionally and amplify your skillset. For those of us who sometimes have a hard time sitting still in a classroom for long periods, Expanish offers a variety of experiential learining opportunities. From volunteer programs to tango lessons in Spanish, these courses allow you to explore and expand not only your Spanish language skills, but also expand the variety of material you learn. If you are interested in making friends while you travel, we have wonderful opportunities for you meet new people while participating in fun activities. While a trip on a city tour bus to sight see offers a few good picture opportunities, organized social activities provide events and experiences which are sure to gain more than just a few likes. Our immersion program at Expanish supplies a variety of social activities which take you deeper than just the language of the culture. Activities such as welcoming orientations, speakeasy crawls, game nights, and dance classes allow language learners to take in a bit more than just language as they engage and participate in these activities. They also offer the opportunity to get to know your fellow language learners, and a setting to meet locals. If you are looking to take your travel to the next level, learning Spanish at Expanish offers a wonderful and unique opportunity to do so.